aboycantoo – Stamping out gender biases one click at a time. Whitby Photographer. Trinity Design. 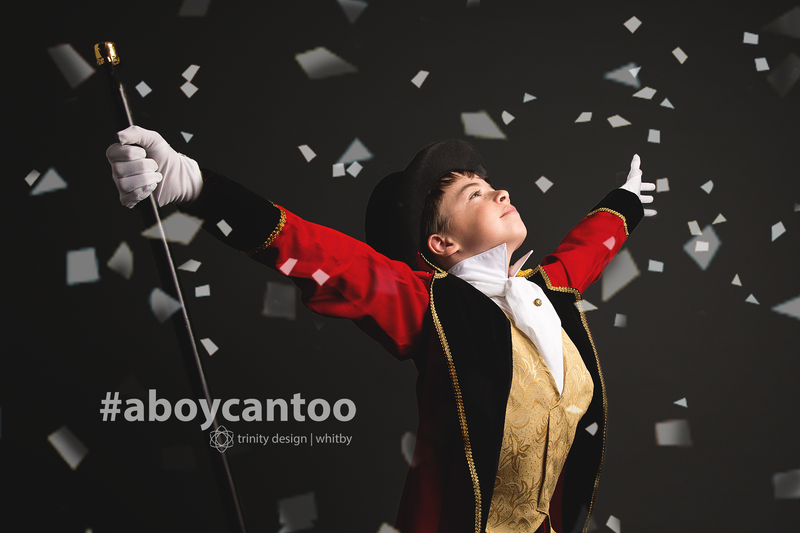 Professional photographer Kirsten McGoey of Trinity Design started 2016 with her first professional photographic series #aboycantoo. Through this series Kirsten is lending a visual voice to boys who break gender norms to pursue their true passions. The photographic series #aboycantoo features boys aged 4 to 18 in in studio and lifestyle portraits. Each instalment celebrates the choices to pursue activities society has often attributed to the female gender. Kirsten is currently booking dates to be photographing her 2018 #aboycantoo boys when time permits, sessions should start again in early 2019. She has a permanent exhibition at the Kulturhuset Barbacka in Sweden of the #aboycantoo work Dec 2017-Feb 2018.